In addition to the original lip filler collagen, there are other new temporary fillers that can be used to deliver that bee-stung look in just seconds. The injections procedure is the same for each one, but the results can differ slightly depending on the patient and the filler they choose with their cosmetic surgeon. Fat injections can be used to fill lips. The patient's own fat, or autologous fat, is harvested from the abdomen or thighs then purified before injecting it into the lips. The advantage of using the body's own fat stores is that there is no chance of allergic reaction, and results typically last one to three months longer than collagen. The dangers of fat injections are lumping and occasional scarring. Artecoll is a combination of synthetic beads, or microspheres, suspended in a collagen solution. Over the first 90 days after treatment, the injected collagen dissolves and is replaced with new collagen created by your body which binds the synthetic microspheres in place. It takes Artecoll approximately three months to yield full results, and a second treatment may be required to achieve the look you want. Autologen is the natural collagen found in the patients own skin. Harvested from other cosmetic surgery procedures, the results of Autologen are long lasting and risk free in terms of allergic reactions. When your own collagen is harvested, it is sent to a lab and sterilized for re-injection. You can store unused material for repeat treatments as needed. Some doctors believe that Autologen is permanent lip filler, but this has not been proven conclusively. Dermalogen is pre-harvested from the skin of a donor cadaver and does not require harvesting from the patient or waiting times. The Dermalogen is processed and sterilized to prevent any infection, and injected into the lips. Repeated injections are required to obtain best results, but once established, it is believed that this treatment will last up to one year. Some results vary, however, and maintenance injections may be required. Hylaform Gel is another temporary lip augmentation treatment using hyaluronan, a naturally occurring chemical in the skin's make-up. 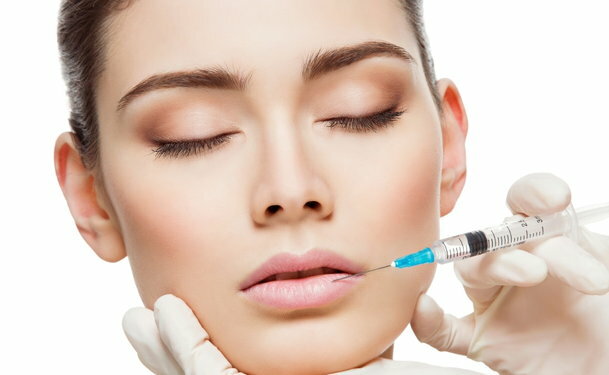 Hylaform injection is an immediately noticeable treatment, and because it is similar to naturally occurring components in the body, it is reabsorbed and will require touch up treatments every few months. Restylane is the new favorite injectable preferred by many cosmetic surgeons and doctors. Unlike Hylaform gel or collagen, Restylane is not derived from animals and yields little risk of infection. A long lasting clear gel fills out lips and facial wrinkles by working with the body's own hyaluronic acid. Restylane is not permanent, but reabsorbed in to the body and requires further injections. Radiance or Radiesse is the newest lip filler on the market and considered a good alternative to fat, collagen or other animal derived injections. While this is considered a long-lasting treatment with a life span of three to five years, Radiance/ Radiesse is not a completely studied product, and long term benefits or drawbacks may not yet be understood. Choose a surgeon who is experienced and qualified to administer the different types of injectable lip enhancements available. Most doctors will prefer a certain type of filler, so be sure to arrive prepared with a list of questions to ask your potential surgeon about the procedure and the type of filler he or she uses.